Be the first to hear about their new releases and deals. 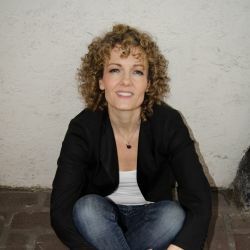 Download the Booksprout app and search for Andréa Fehsenfeld today! A TV producer/writer, Andréa has delivered over 180 TV commercials, series and movies for Fortune 500 companies, including the multi-million dollar docu-series series “Peak Season” - MTV Canada’s highest rated series debut. A life long book lover, in 2015 she decided to pursue her passion of writing fiction. COMPLETION is her debut novel. Andréa’s brand – Cool Stories for Cool People – reflects her readers and what they can expect within her books: unconventional characters with a dash of wild and crazy.